Fusion Conference is a weekend experience for High School and Middle School students designed to help you see that there is the God who loves you, has a plan for you, and that He wants to take you beyond what you could ever hope for or imagine. We’ll hear engaging messages from guest speakers, participate in exciting worship, and forge friendships that last a lifetime. Along the way we’ll have a lot of fun too! This is an experience you do not want to miss! 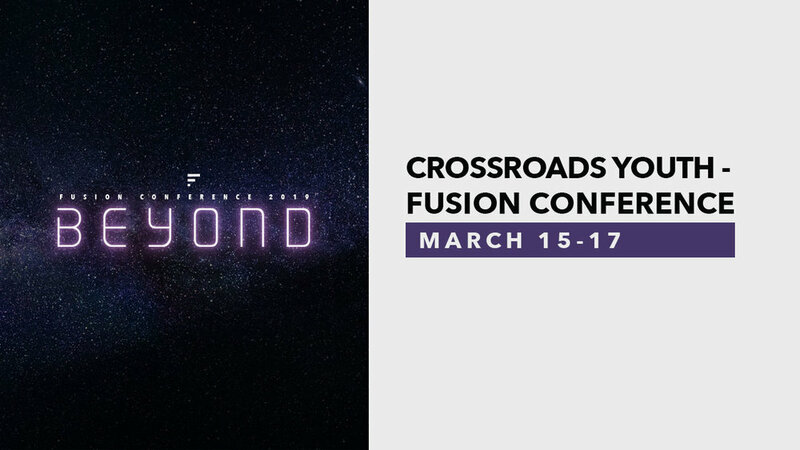 Fusion Conference will be from March 15 - 17. Sessions and most activities will take place the the Thomas Crossroads Campus. Students will stay in host homes with their grade and gender where they will engage in small group sessions. At Fusion Conference, you never know what surprises are going to happen! Join us for a weekend that you will not forget! Click the link below to register today and save your spot before prices go up!